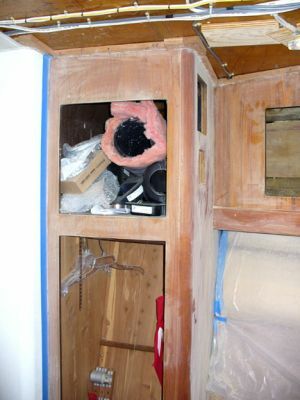 The cabinet doors and the drawers will be removed and a 1" radius put on the edges to make them softer. 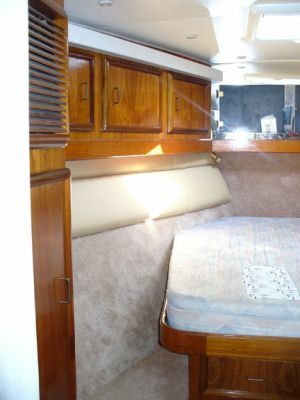 We will then gloss varnish all of the teak. 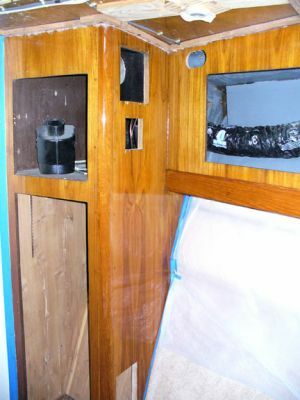 Teak is sanded and ready to be wiped down in preparation for Schooner High Gloss Varnish. 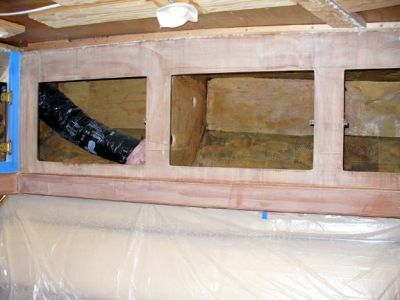 Areas surrounding the teak are taped off and masked to protect from Jeff's wrath with a brush. 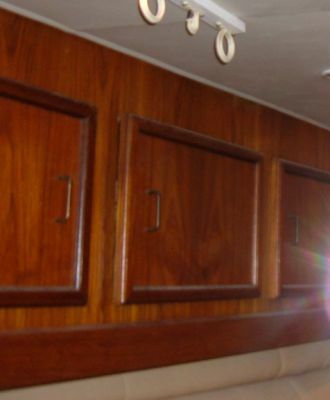 Changing to gloss makes the room look much richer and the cabinetry will be easier to clean. 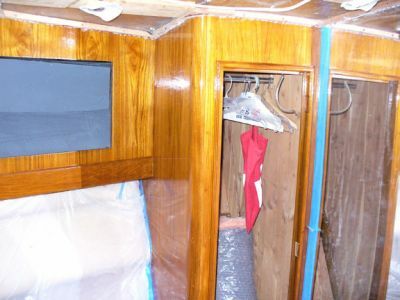 This is a photo of the port side showing the gloss on the cabinets. The doors are at Rusty's shop where they have been run on the shaper, giving them a new attitude. We will be varnishing them at his bright and warm shop. The cabinet doors are reinstalled minus the front two. Rusty is gluing the mirrors back onto these two and then they can be reinstalled as well. To complete the installation, we need to pick up some additional latches to replace broken ones. 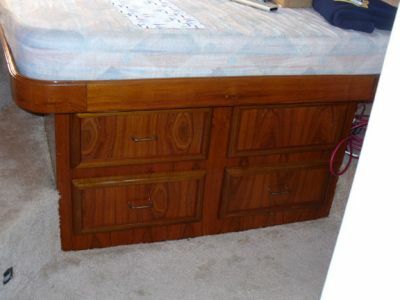 The drawers have finally been put back in place. The room is really coming together.